Looking for something unique that matches your outstanding personality on the road? 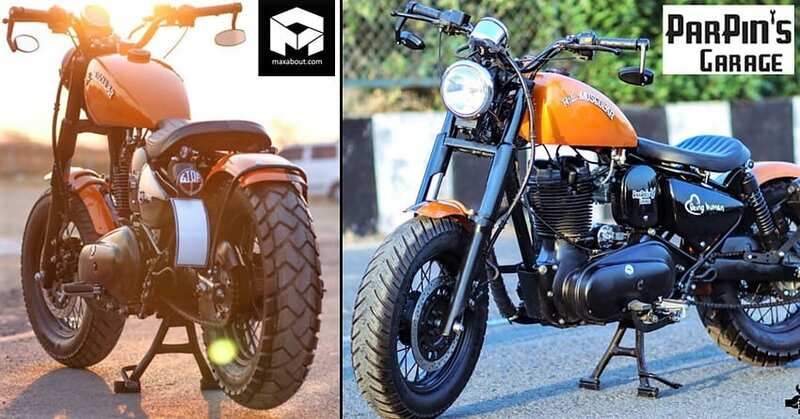 This custom-made bobber named ‘The Muscular’ is here to claim a special status among other modified Royal Enfield motorcycles of India. 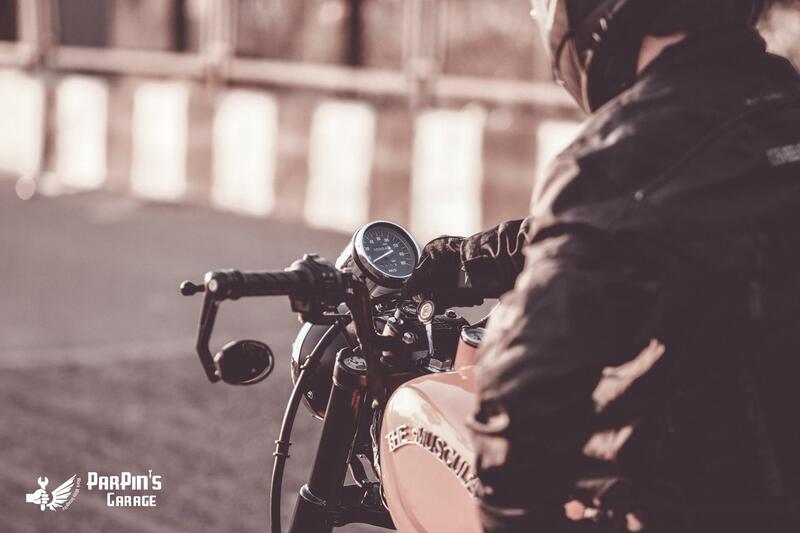 The motorcycle is made on the Bullet platform and thus, performance is never the issue with its owner. 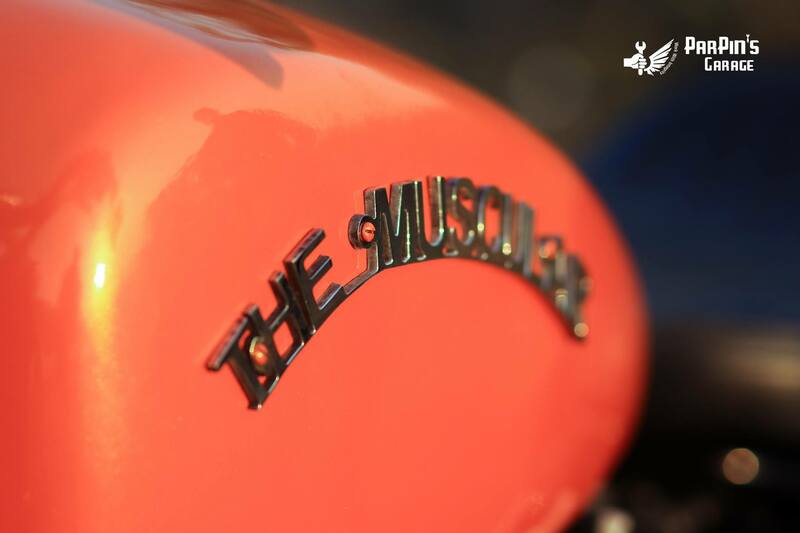 The fuel tank of the Muscular is derived from the peanut-tank design language, further getting visible extensions for a durable connection of the tank with the solid Royal Enfield frame. 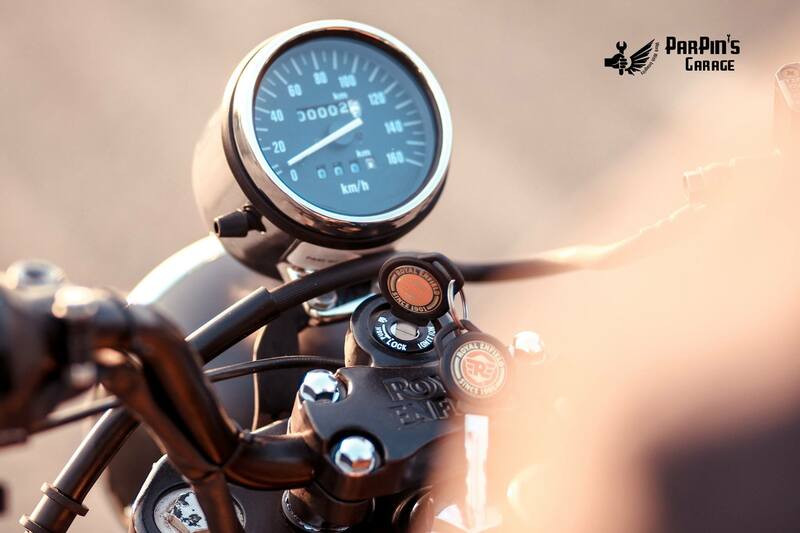 The tank even comes with a built-in amp-meter and thus, adds practicality to the already frugal motorcycle. It has been painted Orange to turn every possible head on the road. 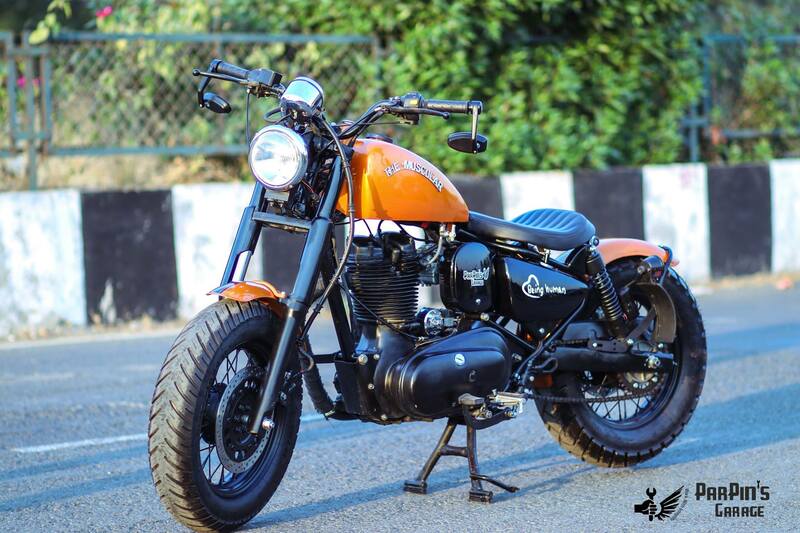 The single-piece seat seen here has successfully replaced the long seat from a stock Royal Enfield Bullet. The front and the rear fender are now made to cut the weight by a large margin. 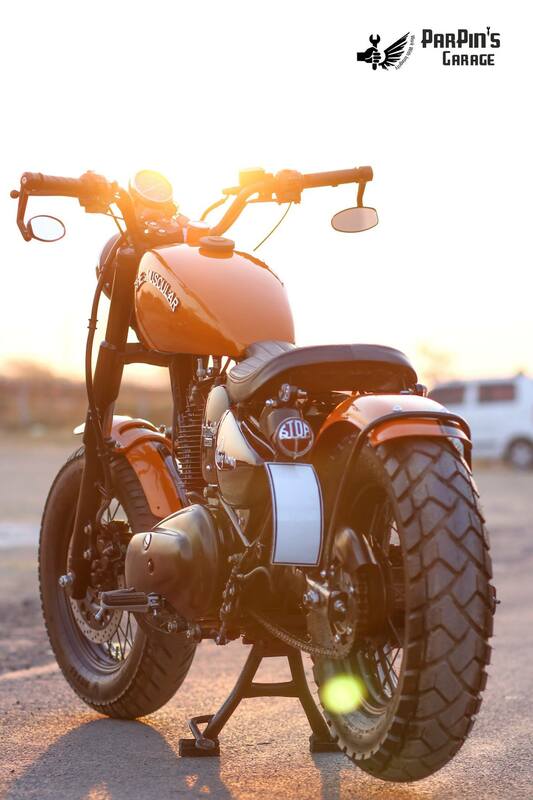 However, the addition of thick rubber on both the ends has made ‘The Muscular’ a good looking Bobber for sure. 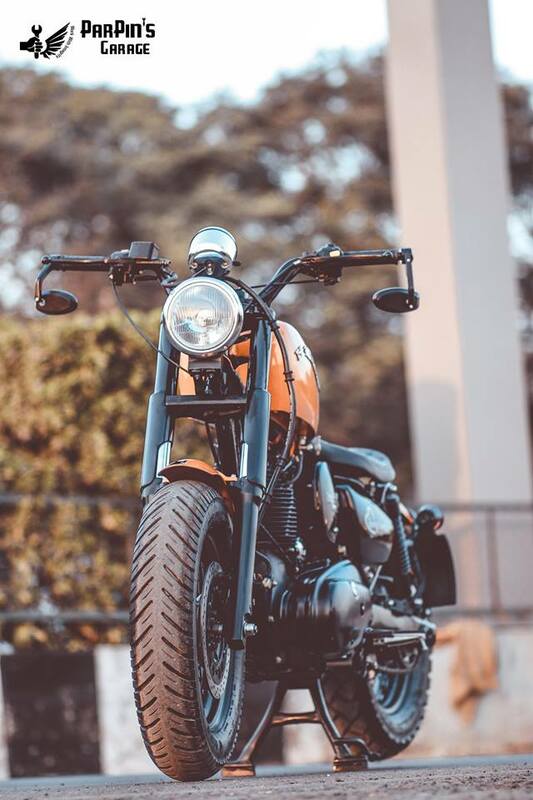 The spoke wheels seen here are painted black, looking perfectly synced with the black engine and exhaust finish on the motorcycle. 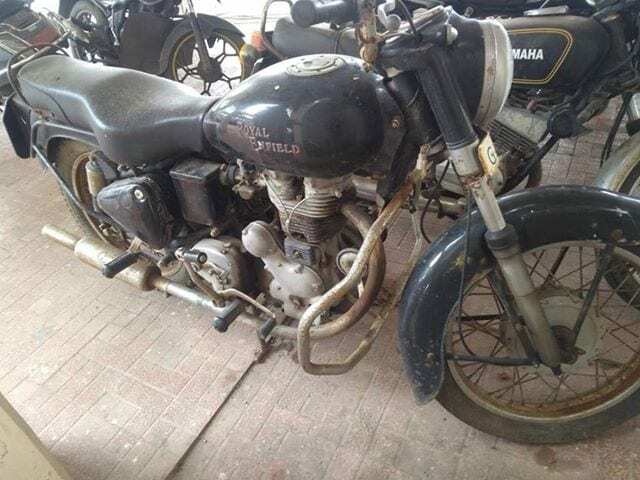 The gear pedal on the motorcycle is seen on the right side, clearing the fact that the owner has been with his Royal Enfield for a long time. 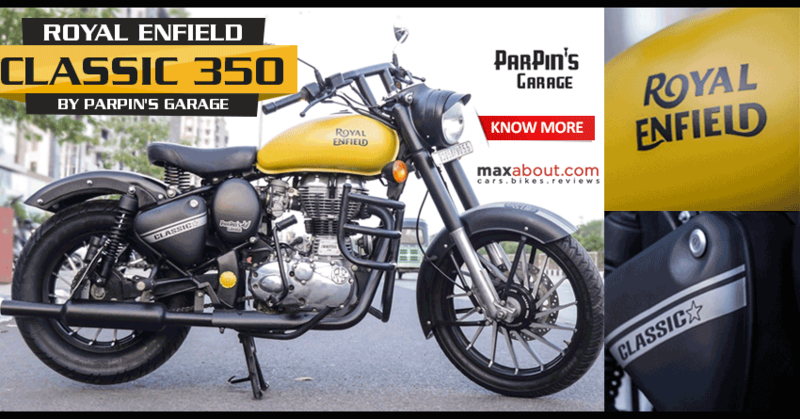 The disc brakes have also been added on the model as the old Bullet series came with drum brake option on the reverse pedal cast iron engine model. 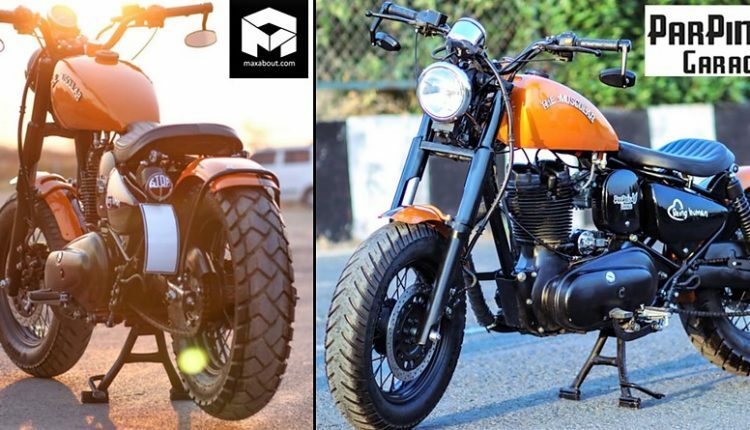 ParPin’s Garage has added impressive highlights at prominent places and the use of a custom console with the round headlight is another addition to the motorcycle. The bar-end rearview mirrors, black suspension covers and left-mounted number plate holder further enhance the overall looks. 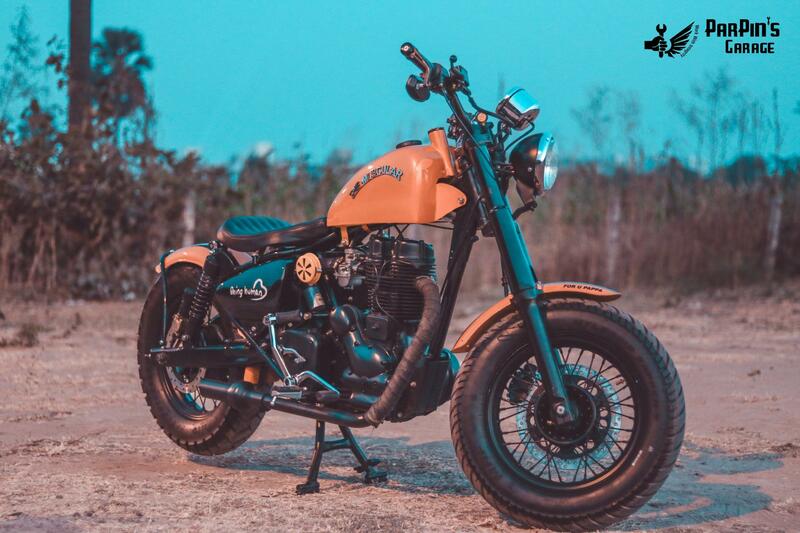 The switch of cast iron engine with the current generation engine lineup helped Royal Enfield eliminate a lot of drawbacks from their present-day model.